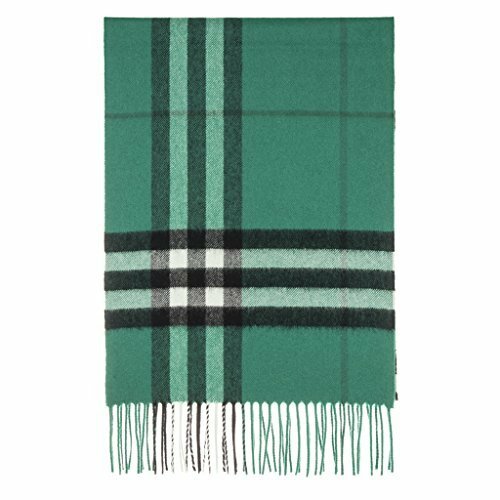 Burberry Unisex Classic Check Cashmere Scarf Green: * 100% cashmere. * 66.1 x 11.8 in. * Rectangular. * Fringing at both ends. * Specialist dry clean. * Made in Scotland. * Model: 4030505. * Item may not be returned without red security tag attached.